But anyways here it is. I dont like the text, but I like the dice. 10/10 anyway! I like it with no text. Location : Why would you wanna know dat? No text.I never seen the text version. 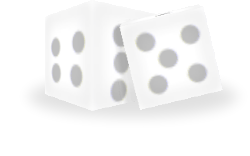 Subject: Re: 3D Dice avvy.